Capturing the ghost of our movements. This series looks at Nature vs. Nurture----How do our surroundings affect us? This series was inspired by the field of Personality Psychology and the debate between nature vs. nurture in personality. Is our personality created from behaviors and experiences in our nurturing environment or is it hereditary by nature and we are born with it? In the fall of 2010, I was taking supplement courses in psychology to pursue a graduate degree in Art Therapy; one of those courses was personality psychology. During the same period, I was also studying figure painting and capturing human expression in portraits. 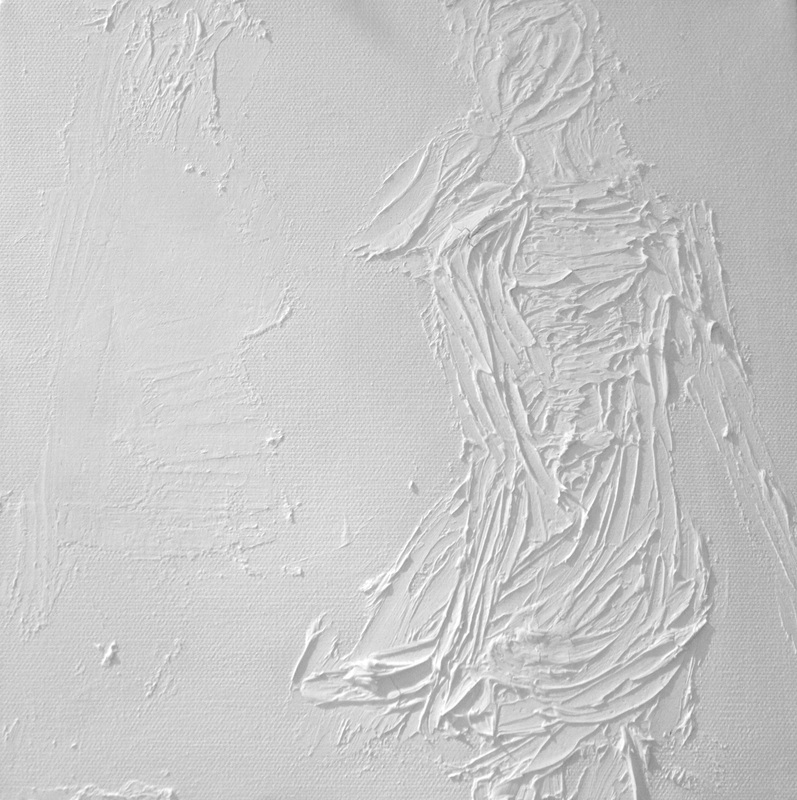 The first work in the Energy of White Series is Whisper, a failed portrait. 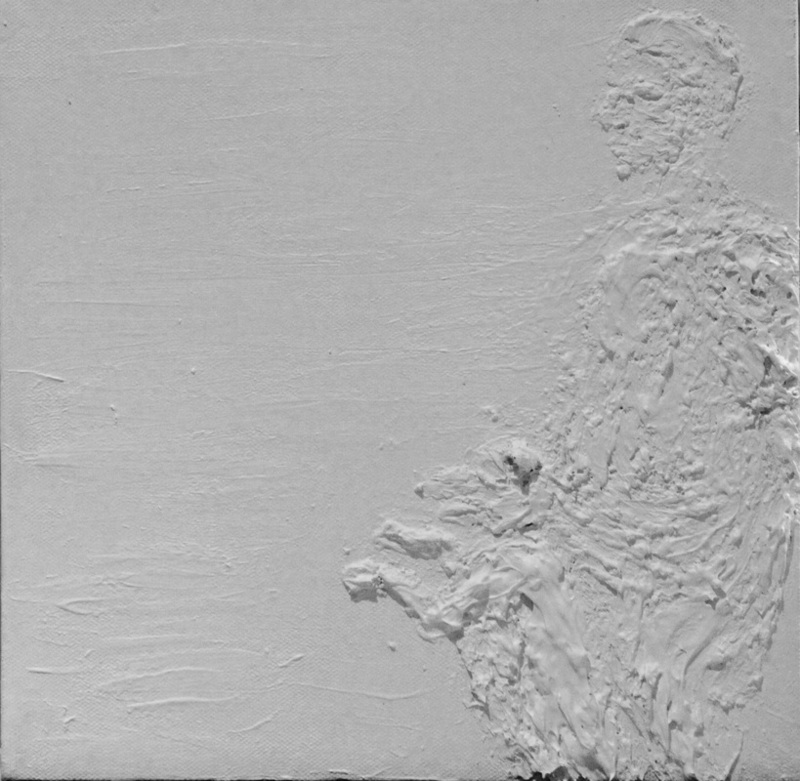 When I was gessoing over the failed portrait to use the canvas for something else, I was in a sense re-birthing the canvas and giving it a new life. However it had texture and other materials on it and was not a clean slate. Even if it was going to be a new painting, it already had a story, a personality. 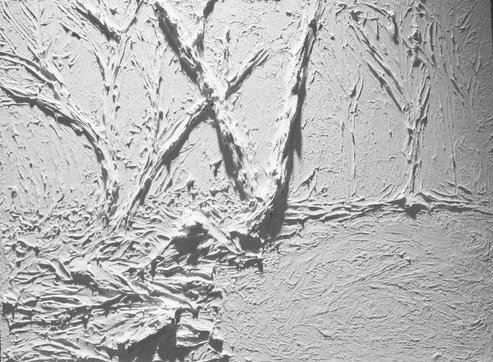 This thought turned into the idea that canvases are born white, but their environment can change the outcome. A canvas can become an abstract painting, a landscape, a portrait, etc. based on the artist. And after the artist births a painting, it can still change. The actually painting ends up changing environment to environment: the concept can be interpreted in different ways, and the light can change the story. 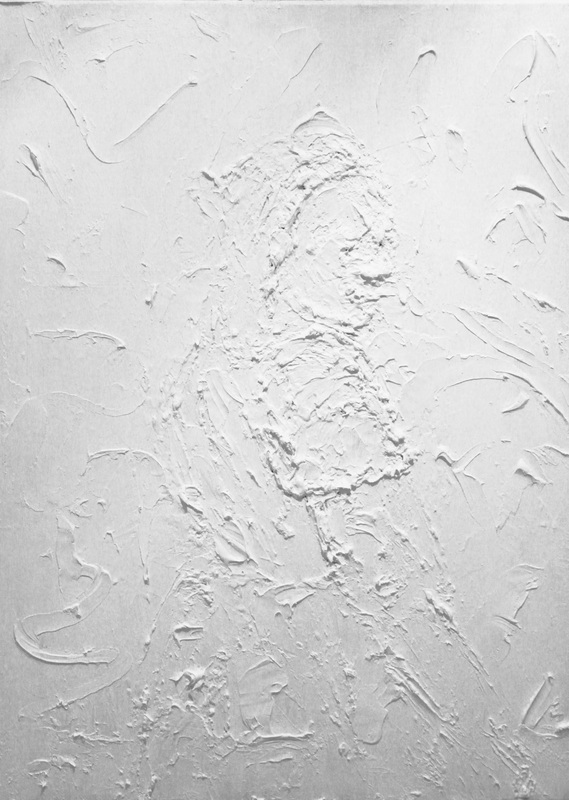 In each painting of the Energy of White series, they are born white. 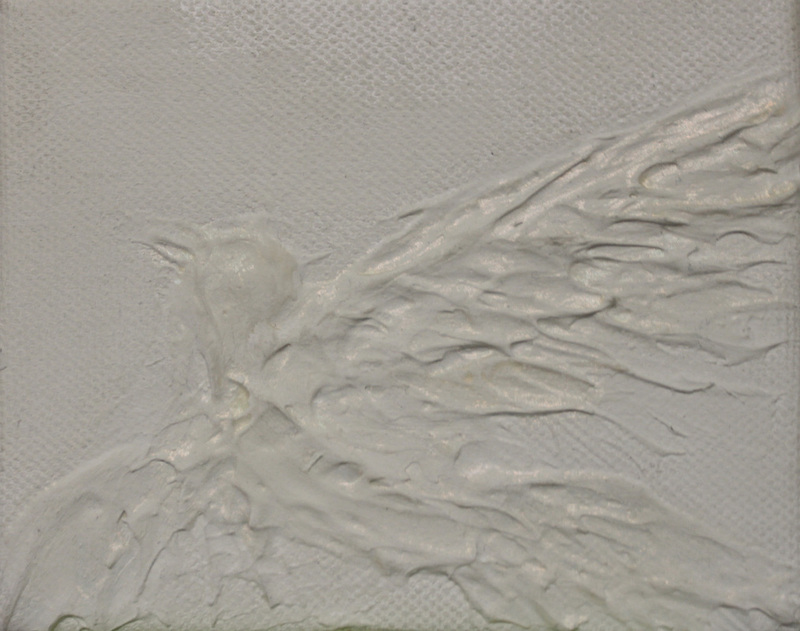 They are created using pure gesso, a canvas primer. I have given them personalities: people, flowers, landscape… but the story, the light, the shadows, etc. will be translated from the environment and the viewer. Nature vs. Nurture---How does the environment affect us? These paintings are all white - any other color is created from the environment. Wild flowers. acrylic on canvas. 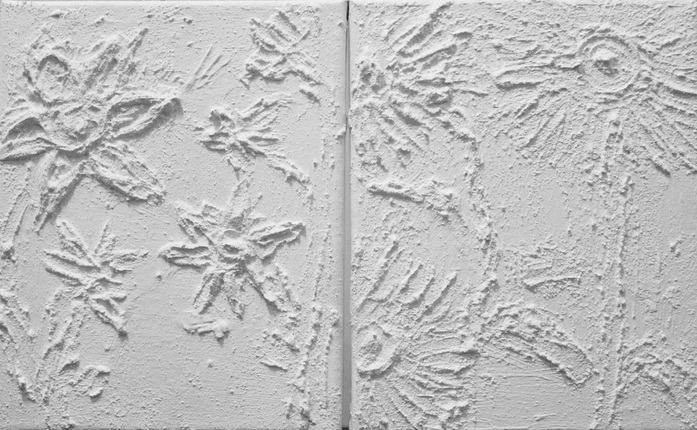 diptych 10"x16"
acrylic on canvas. 2011. 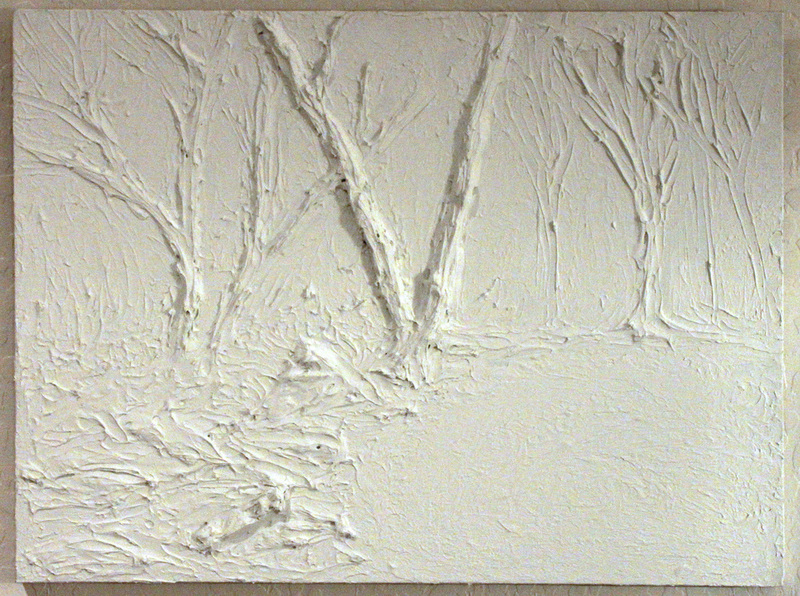 24x18"
"White Hills Like White Hills"
acrylic on canvas, 2011. 24"x18"
"Wake me alive" in extreme lighting, to show off how shadows are created on the canvas depending on the surrounding light.